If you never watched season 1 of ‘Last Man On Earth’, you missed one of the more original seasons of television in recent memory. A standalone character carrying a 30 minute comedy on network TV just doesn’t happen, but somehow Will Forte, Phil Lord and Chris Miller made it work, and made it hysterical in the process. Season 2 starts on September 27th, and the only thing better than the cool weather in the fall is the gigantic amount of television that is waiting to be consumed. Bring it on. Now that we got that out of the way, what kind of sick piece of crap ruins a perfectly good Q&A session? I’m sure CM Punk or any of the other UFC fighters that participated didn’t need to be there. I really want to believe that CM Punk genuinely likes interacting with fans, I really do, but I can see why sometimes that can be a little bit hard to do. I’m sure for every nice and normal fan Punk encounters on twitter, or in real life, there is 20 of these underwear stains ready to challenge him to a fight or call him names. The name CM Punk has left a sour taste in my mouth every since he left the WWE the way he did (and we will never actually know the real reason for his departure), but after this dude getting all up in Punk’s face I am in Punk’s corner for his first UFC bout. Whether it be against this dude or anyone else, I hope Punk silences the haters. For his antics at the UFC event, the gym Pousson trains at banned him. What a moron. Source – Wal-Mart Stores Inc., the world’s largest retailer, has recalled donkey meat sold at some outlets in China after tests showed the product contained the DNA of other animals, the US company said. Donkey meat. Fox meat. Human meat. What’s the difference? If you’re shopping for “five spice” donkey meat at a Walmart in China getting some fox meat mixed in there is the least of your worries. Apparently people who eat donkey meat are very picky. Walmart wants to throw some other animal DNA in there and all of a sudden there’s a huge uproar. Have you seen some of the stuff they sell at Chinese Walmarts? Crocodiles, rib cages, turtles. If you’re going in there looking for food you have to expect the worst. 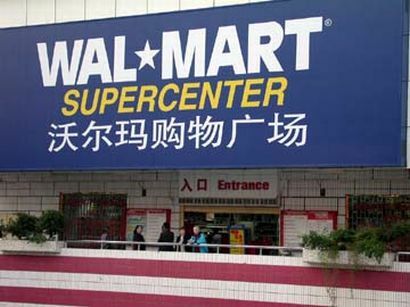 Tis’ the life of a Chinese Walmart shopper.